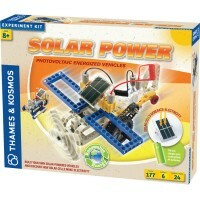 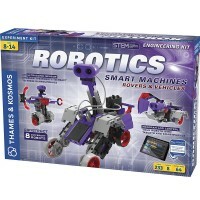 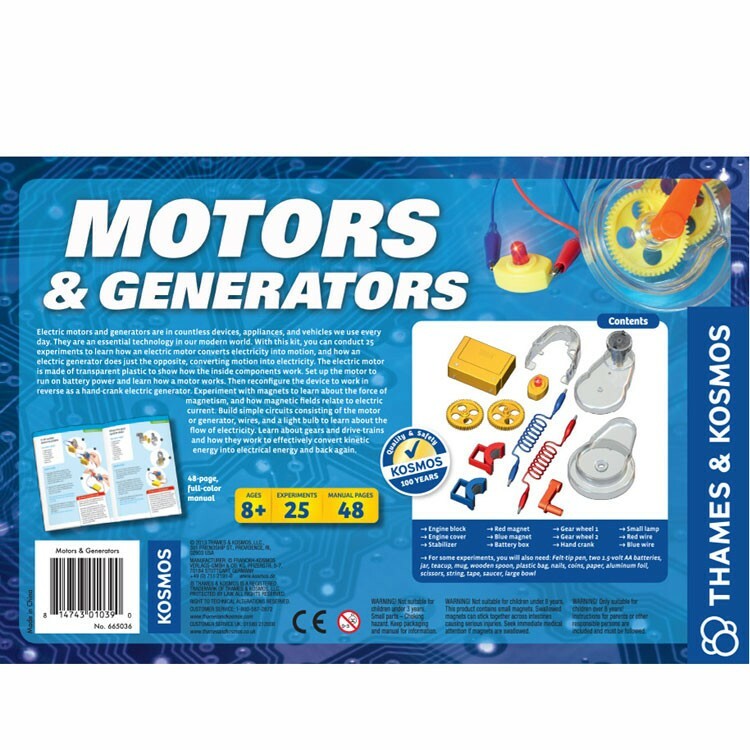 With Thames & Kosmos' Motors & Generators Science Kit, you can conduct 25 experiments to learn how an electric motor converts electricity into motion, and how an electric generator does just the opposite, converting motion into electricity. 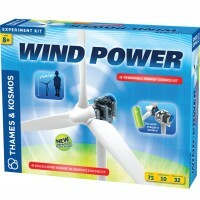 Electric motors and generators are in countless devices, appliances, and vehicles we use every day. 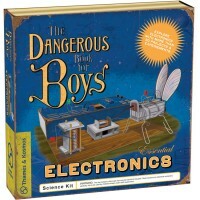 They are an essential technology in our modern world. With Thames & Kosmos' Motors & Generators Science Kit, you can conduct 25 experiments to learn how an electric motor converts electricity into motion, and how an electric generator does just the opposite, converting motion into electricity. 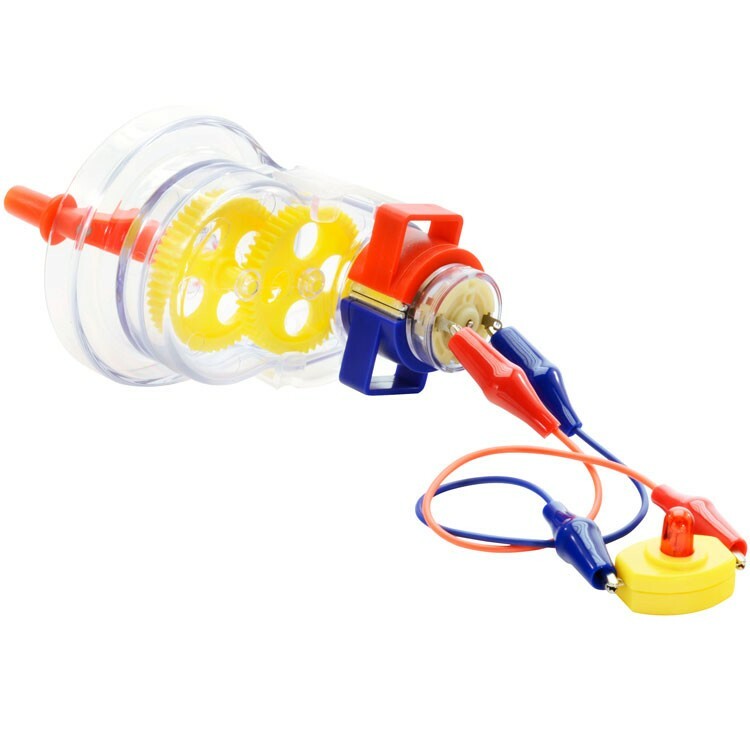 The electric motor is made of transparent plastic to show how the inside components work. 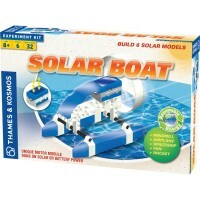 Set up the motor to run on battery power and learn how a motor works. 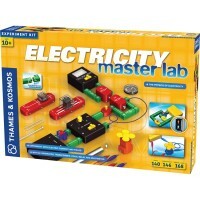 Then reconfigure the device to work in reverse as a hand-crank electric generator. 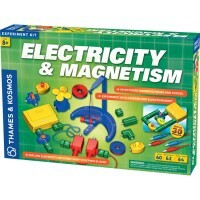 Experiment with magnets to learn about the force of magnetism, and how magnetic fields relate to electric current. 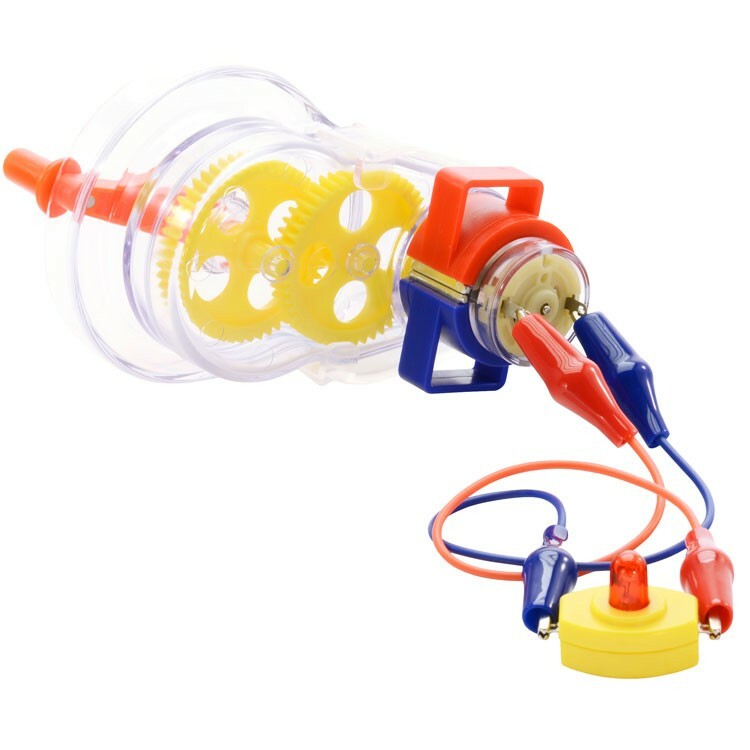 Build simple circuits consisting of the motor or generator, wires, and a light bulb to learn about the flow of electricity. 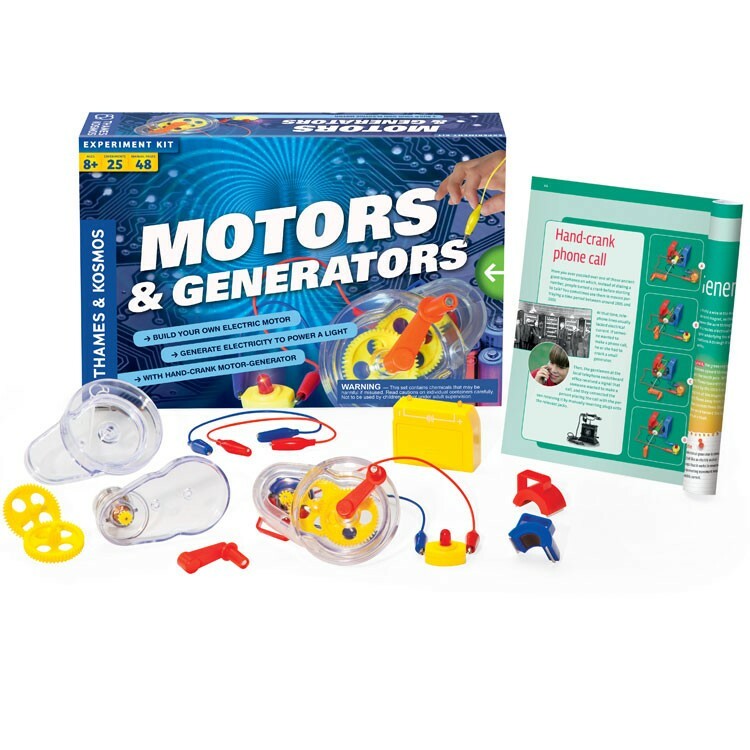 Learn about gears and drive-trains and how they work to effectively convert kinetic energy into electrical energy and back again. 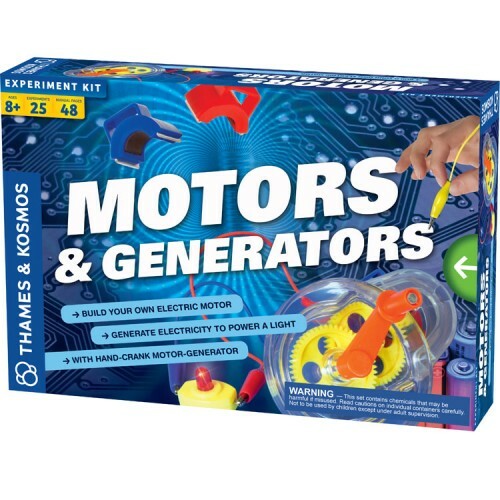 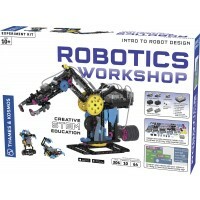 The Motors & Generators Science Kit from Educational Toys Planet includes the full-color illustrated 48-page manual guide with step-by-step instructions. 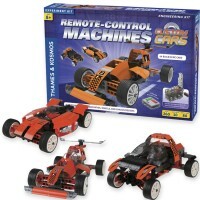 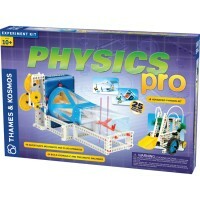 Dimensions of package 2.6" x 13.1" x 8.9"
Write your own review of Motors & Generators Science Kit.